My mom was one of nine children raised during the Depression. All of the foods she grew up on were from a variety of dishes that could be made reasonably cheap, and stretched far. So, I guess it was no surprise, that they became my mother’s favorite remembrances, and also mine. Who doesn’t love a good fried vegetable? Or better yet, a moist but crispy piece of Southern fried chicken. Just writing it makes my mouth water. But if you add in fruit and a little sugar, oh, I’m in heaven now! 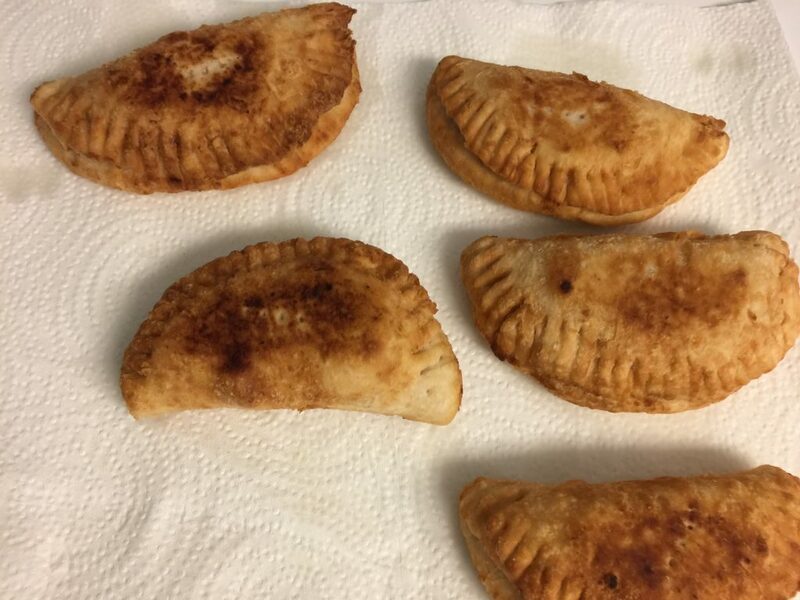 I can remember eating these little pies when I was a young ‘un til my belly hurt. As an adult, I have not figured out how my aunts made them look so easy. 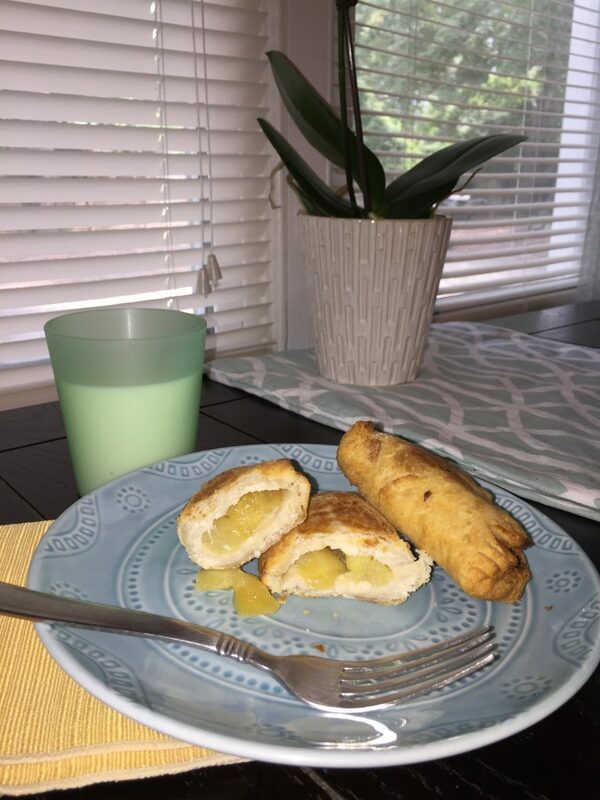 All I can say is it is worth the work of the homemade pie pastry and cooked apples when you sink your teeth into their decadent taste. There are many different versions to get the end result. 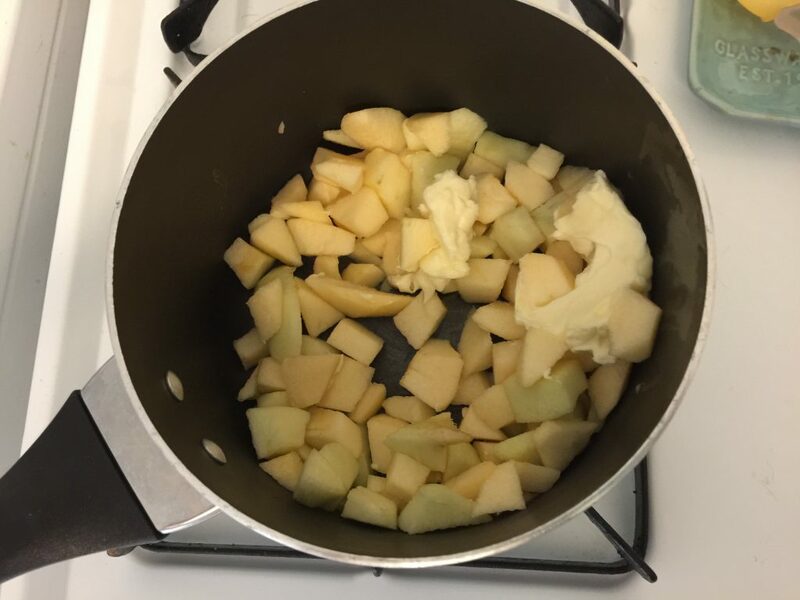 For this post, I am using the old fashioned, tried and true one from my family’s kitchen. small portions. Once it begins to cook, lower heat and add in sugar. Stir frequently. Next, you can begin preparing the pastry. 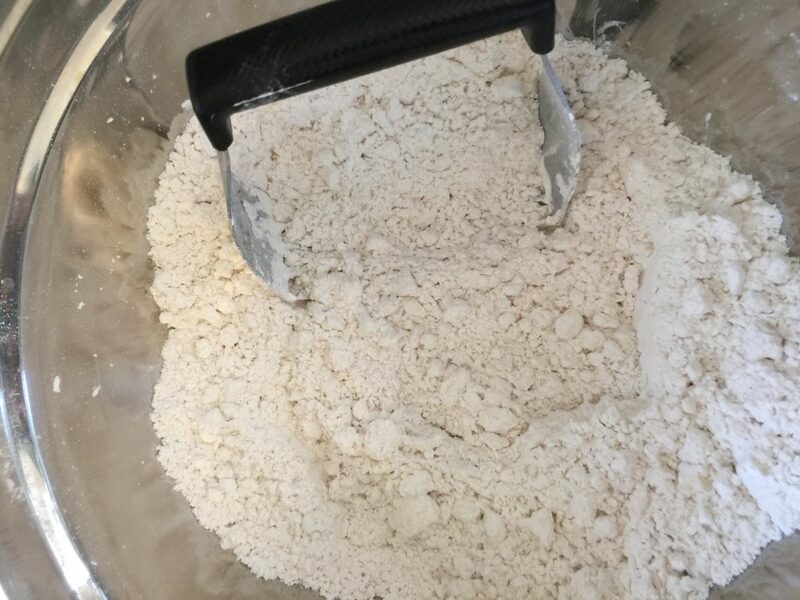 Sift the flour and salt together and then cut in the shortening with a pastry blender. Add the cold water in a tablespoon at a time, blending with a fork or your hands. Once you have it all mixed, move to a floured board. 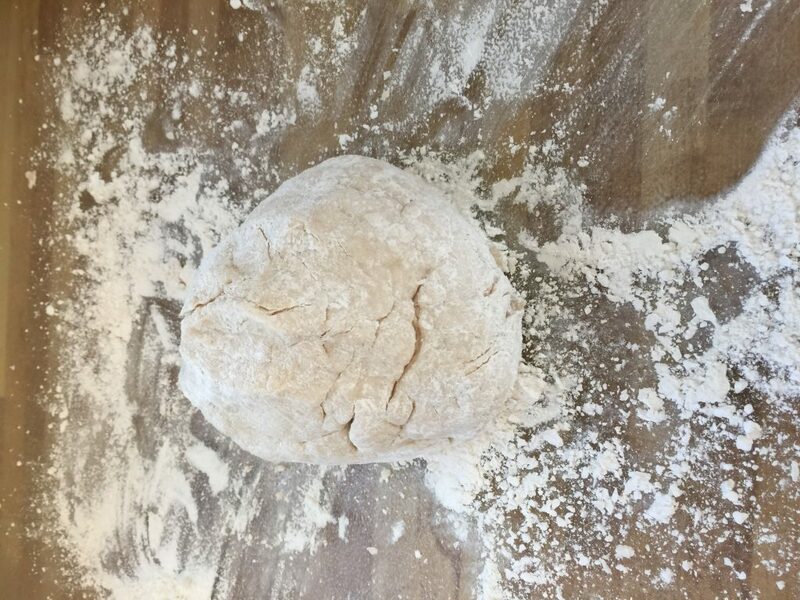 Work the dough with your hands until you can make a ball. 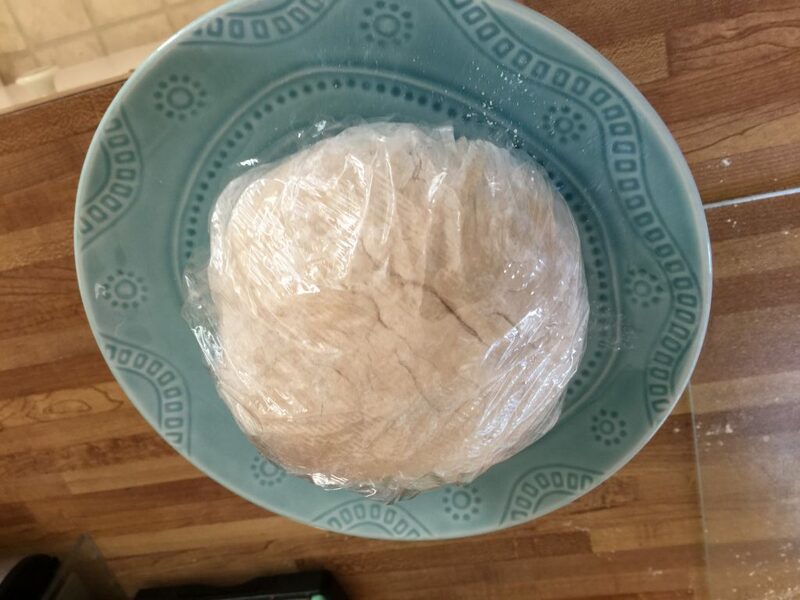 Then wrap in plastic wrap and put in the refrigerator for at least an hour. 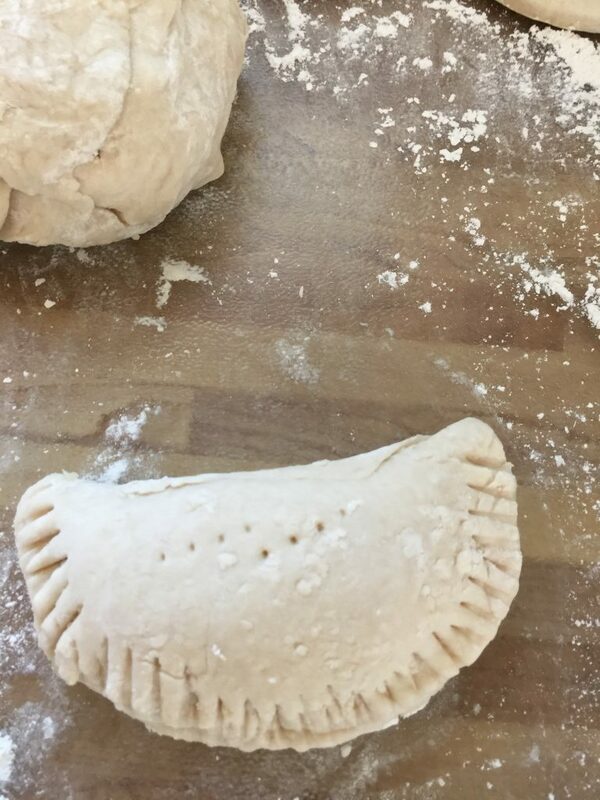 If you have worked with pastry at all, you know the colder the pastry, the flakier the crust. 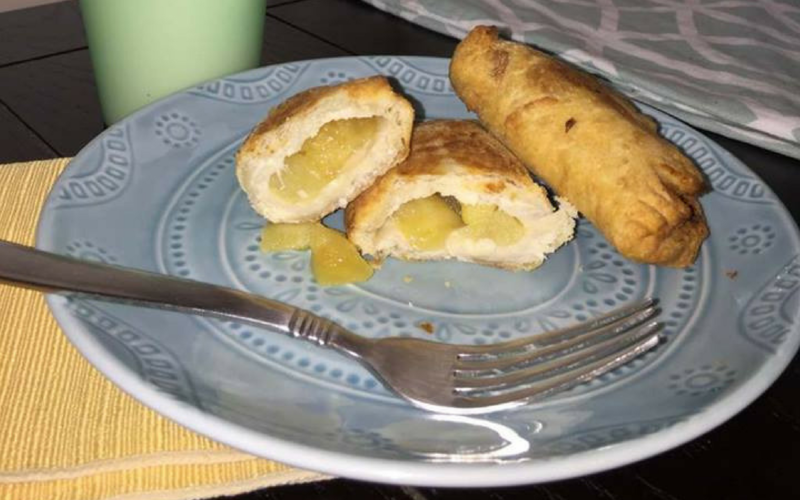 While the pastry is cooling, your fruit should be soft enough to remove from heat. 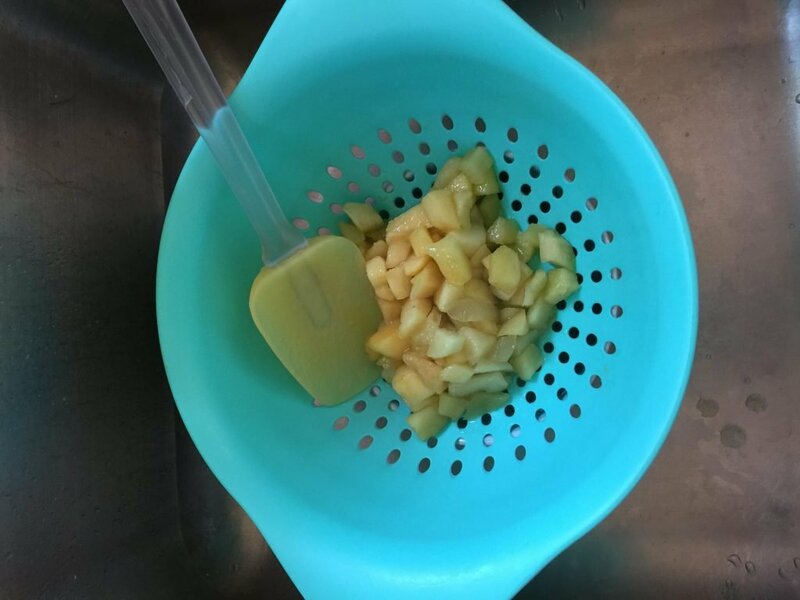 Let it drain in a colander while your pastry is readying. You don’t want the fruit to be too soupy. I should mention here that no water needs to be added to the fruit mixture while you are cooking. It doesn’t matter what type of fruit you are using. Fruit has a high water content. Just make sure you keep it at a medium to med./low heat so it doesn’t scald. Now comes the fun! Rolling out that pastry. 3. It doesn’t have to be perfect. 4. 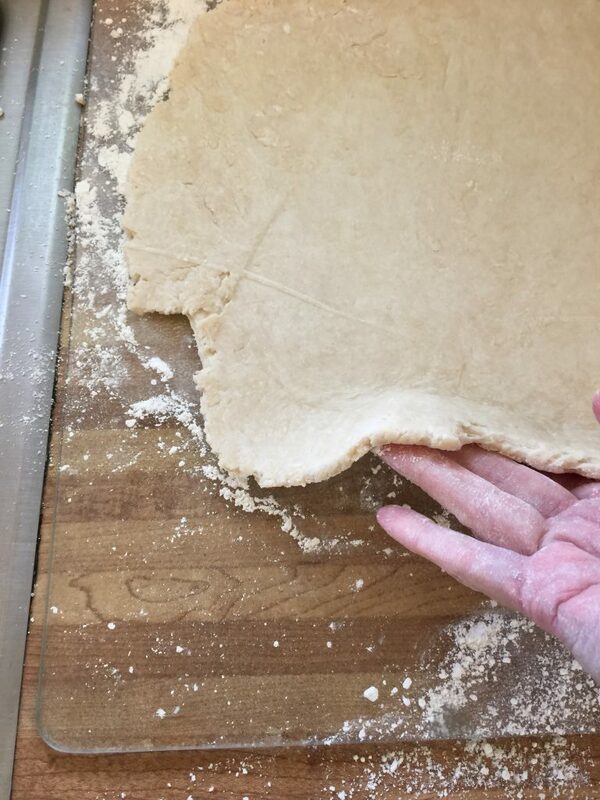 Also, the thinner you can get your pastry the better, preferably 1/8″. I used a 3 1/2″ cookie cutter for these. I wouldn’t go any smaller. 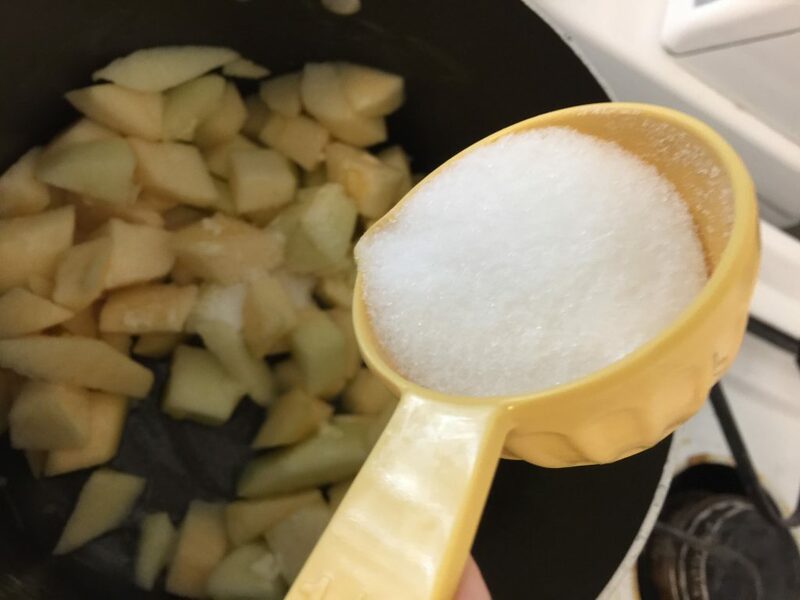 Once you have your rounds, place one spoon of the fruit mixture in the center and fold over. Gingerly press with your fingertips along the edge. If some of the fruit tries to escape, just push it back it. Use the tines of a fork to crimp the edge. 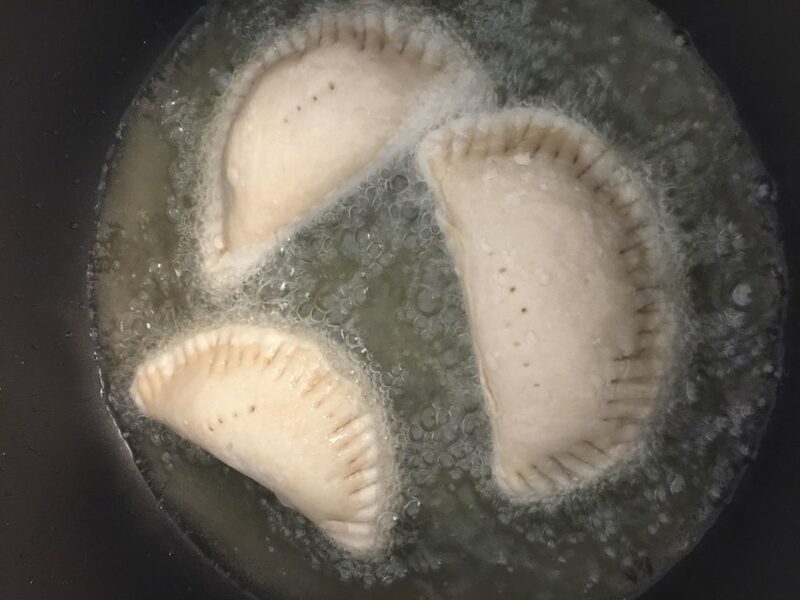 I prick the top with a fork for some vent holes so you don’t have any of these babies popping in the hot grease before they are done. You may have a deep fryer. I do not, but substituted in a regular saucepan using about 2 inches of melted shortening for frying. They should only need about two minutes per side. Carefully transfer to a paper towel to blot the grease. Now you may want to take shortcuts, such as using the box pie crust or the canned pie fillings. But where would the fun in that be?